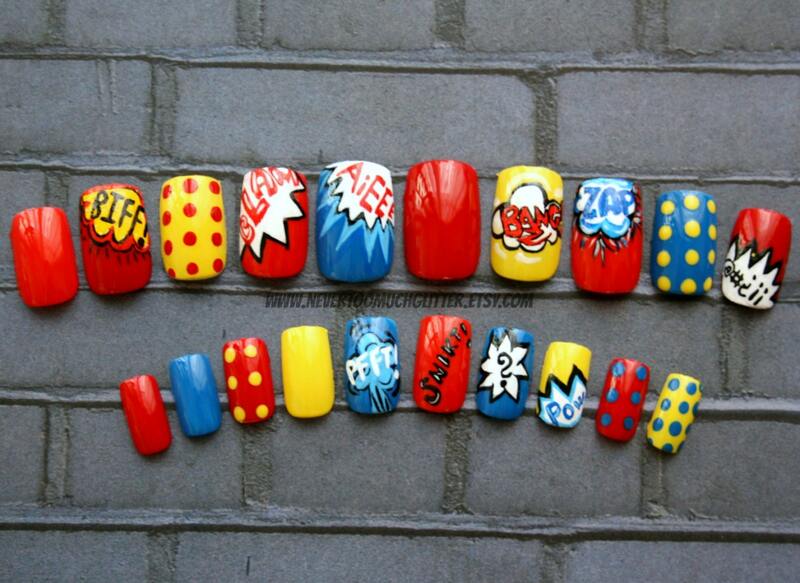 I’m an American woman who got my first taste of crazy nail art living in Tokyo. I bounced around Asia, spending a few years in Singapore. I was overseas for about 15 years and had a lot of opportunity for world travel. I’m now back in the USA as of 2016, looking for new experiences in the Big Apple. I get a lot of inspiration from things I’ve seen on the road, but little pieces of my past also bubble into my art and posts. I’m obsessed with color! I started this blog to show how nail polishes can be mixed into new shades, since polish was so expensive in Tokyo, where I was living. In the early days, I was almost mixing solid colors exclusively. These mixes are generally called “frankens,” which is one of the words you will probably see on here a lot! 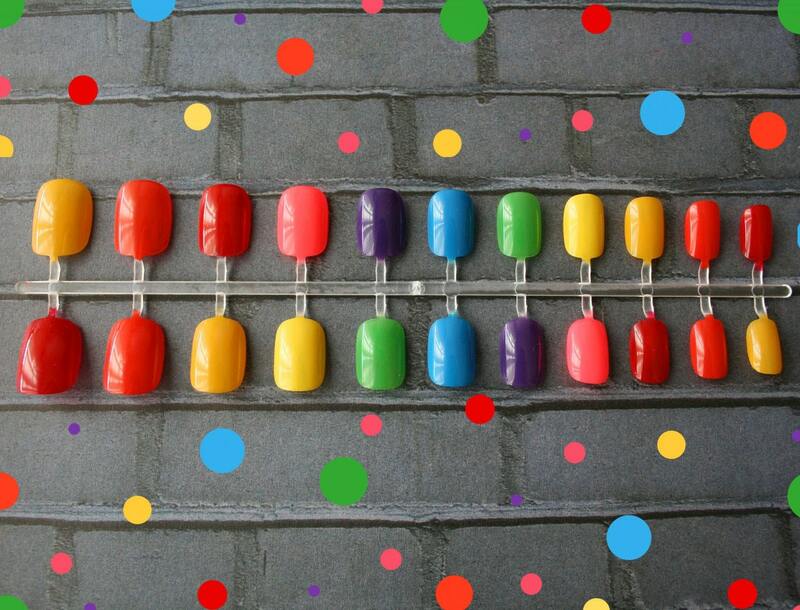 It’s technically “frankenpolish,” or the result of mixing nail polishes together to make new colors. There is no limit to the colors that can be made. Some are awesome, some are duds, but all of them are interesting experiences. Inspirations have included: sea monsters, my favorite childhood bubble gum, old glassware, pirates, sunrises, disco and Gumby. 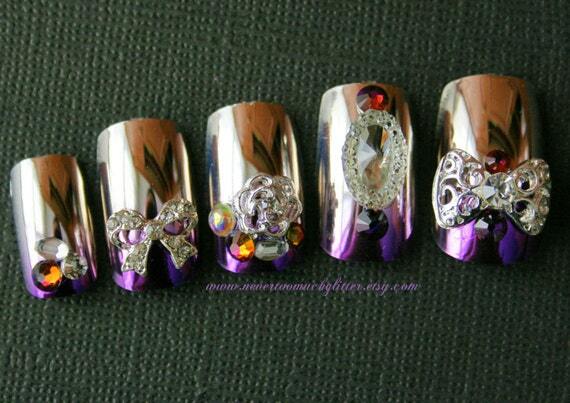 As much fun as I was having with frankens, some nail art crept in, and I began to see nails as tiny canvasses. 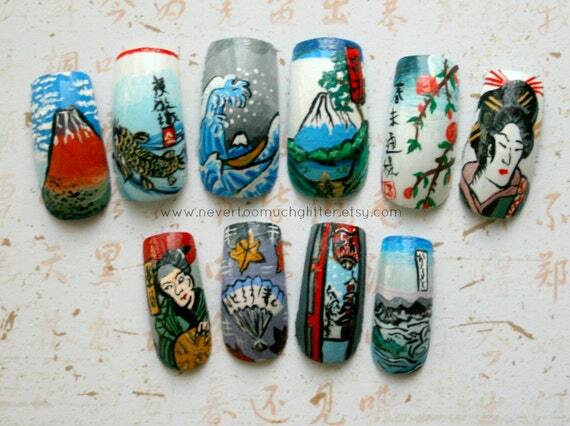 Being in Japan, the epicenter of crazy nail art, the art began to take over. I find artisitic inspiration daily, whether it be from classical Japanese woodblock prints or from taking a stroll in Harajuku! With a lot of encouragement, I’ve gone to nail school in Tokyo and Singapore to improve my skills and started a nail shop on Etsy with 3500 sales and going strong, thanks to everyone’s support! Since then, my work has been featured in several magazines (print and online) including Huffington Post, Nail Max, BUST, Gothic Beauty, Seventeen Malaysia, Women’s Day and Bridal Guide, Time Out, A Perfect 10, L.A. Times and many others. I’m still very much looking forward to where my glittery journey will take us! Besides for the nails, I’m a part-time artist. I love all things creative: taking photos, drawing, scrapbooking, printmaking, beading, etc. Other stuff I like includes: scuba diving, motorcycle riding, traveling, tea, reading, and of course, glitter. This is a PG-13 blog- comments, suggestions and feedback are welcome but try to keep the 4-letter words to a minimum. Also, no spamming! And please don’t use my photos or content for your own commercial purposes. And as always, thanks for stopping by! Navigation: Click on a date or category on the right to get started! You can also click the title bar on the top of the page to go to the latest entry. 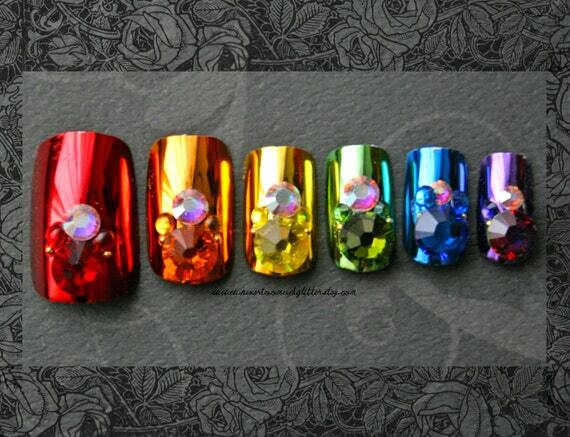 I love your blog…all those gray base colours omg i would love to get my hands on these….! !And also I am amazed with how you paint your nails no messy applications I mean how you do that? ?Can you share the secret?? ?Again you’re great!! A nail polish lover from Greece!! Thanks for visiting and for your nice comment! My nails are really messy! I just clean them up before taking a picture. Some advice: Make sure your cuticles aren’t dry, or else nail polish will stick to them and stain, especially dark colors. Moisturizing them also prevents hangnails and keeps your hands looking great. To get a really good nail polish application, after I paint my nails, I take a Q-tip, dip in nail polish remover, and clean around any stains that I got on my cuticles. I don’t worry about getting nail polishes on my cuticles so much then. I’ve been skimming your blog and I think your eye shadow technique is really cool. Can you give some detail as to how to do it without making a giant mess? Thanks! I started with the JET Program, which put foreign teachers in Japanese schools. It’s been greatly reduced, but I believe is still in existence. I could speak Japanese when I arrived, though, which was a great advantage. From there, I improved my Japanese skills and went to work as a legal secretary and then a technical translator. Japan is an amazing country and I really enjoyed my decade there! Thanks very much and welcome! It’s been a whirlwind so far, but mostly life is the same almost anywhere once you’re settled in. If you want to see the world, definitely learn another language. It opens so many doors!